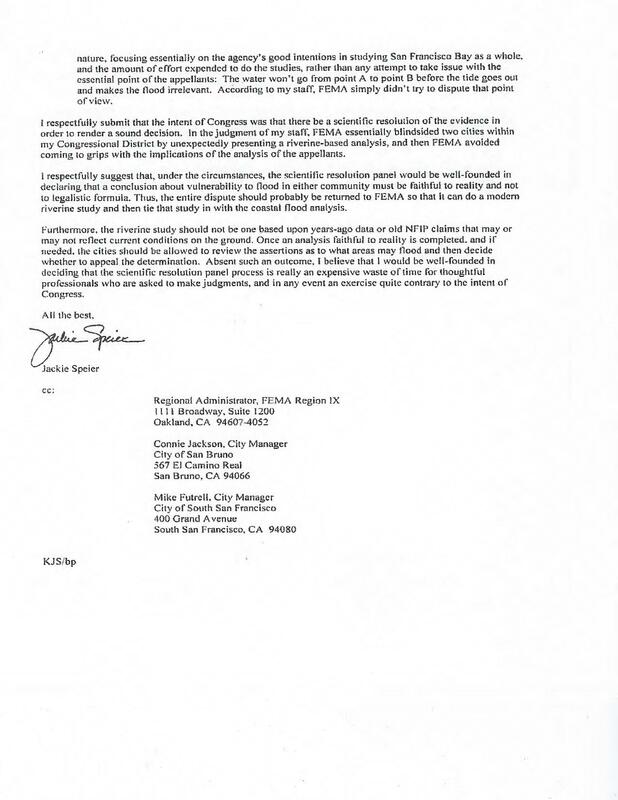 EDITORS NOTE: San Bruno resident and Community Leader, Robert Reichel, has contacted us with important information regarding the newly redrawn FEMA Flood Zone Map which indicates areas of both San Bruno and South San Francisco having neighborhoods within the flood zone. Mr. Reichel, who is also the Patch Mayor of San Bruno, is following up on this issue and has asked we also make our residents aware of this situation. Properties within the FEMA Flood Zone will have to purchase flood insurance which can be quite costly unless there are resolutions to this potential problem. I am writing this letter as an individual. 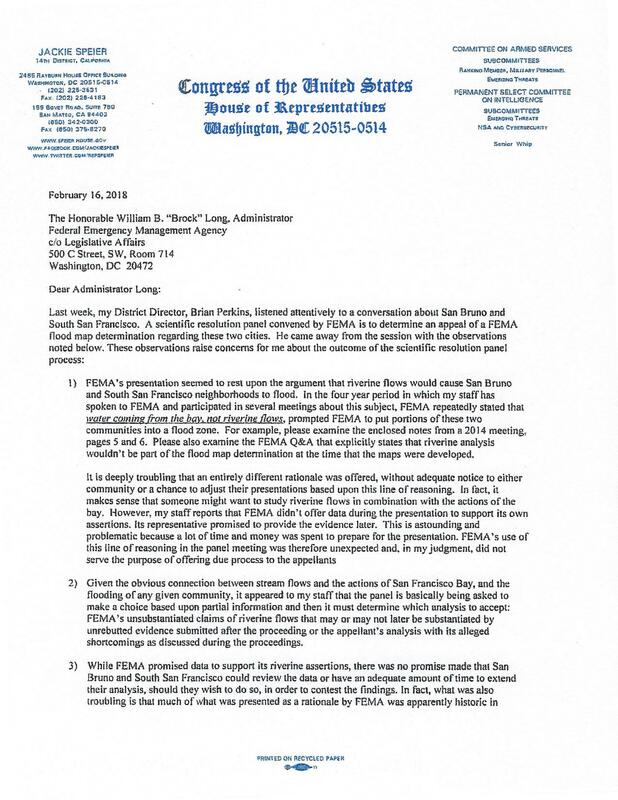 As I believe you are aware, FEMA is in the process of finalizing a Flood Zone Map that will designate portions of South San Francisco as well as parts of San Bruno as being in this Flood Zone and therefore requiring most property owners to buy Flood Insurance. 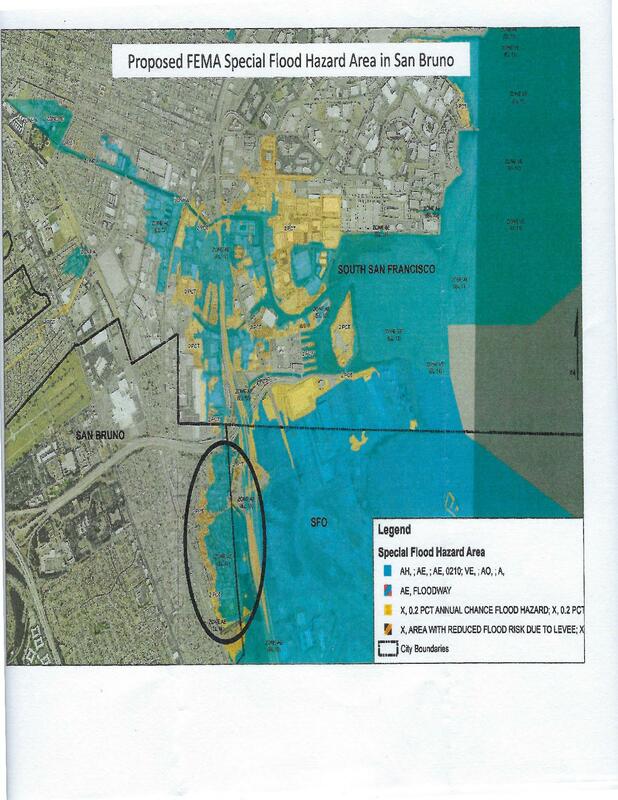 Our property is expected to be included in this San Bruno Flood Zone. 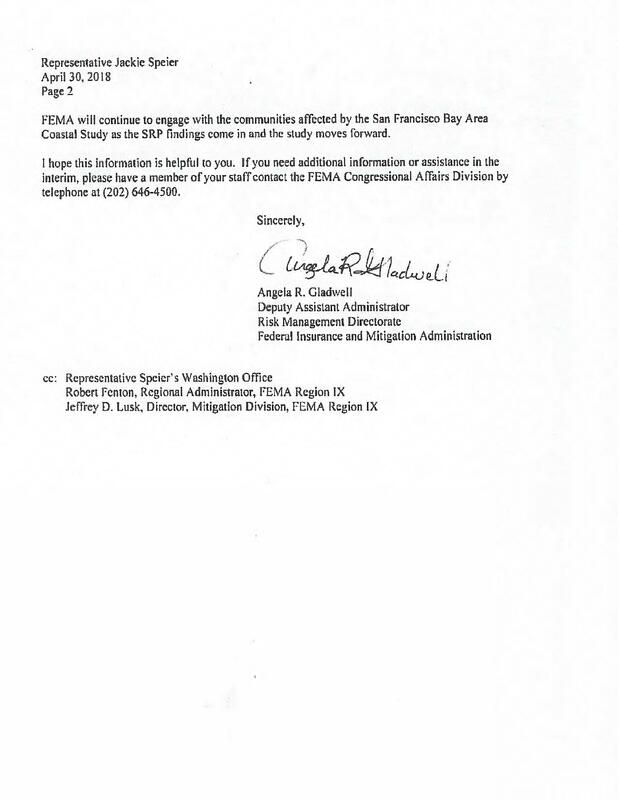 As I believe you are also aware, South San Francisco and San Bruno hired a consultant who presented to FEMA different flooding conclusions on the effect of possible sea level raise and heavy rains on flooding in South San Francisco and San Bruno BUT FEMA refused to discuss or accept the consultant’s findings and added additional criteria after its initial discussions without notifying San Bruno. Furthermore I believe you are aware that FEMA’s report (or discussions) stated that if South San Francisco, SFIA, and the County of San Mateo ALL took specific steps restructuring the flow of water to various South San Francisco, SFIA, and San Bruno areas, FEMA could/would rescind their Flood Zone Map. Who with the City of South San Francisco can I contact (name FAX E=Mail) to stay in touch in SSF on this desired and needed work? Are you aware of the proposed FEMA map and how it would affect portions of SSF and your residents? Who in which SSF City office should I contact going forward if I have more information and/or questions? 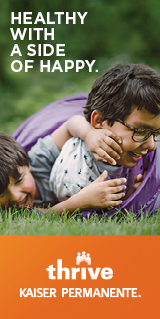 Are you aware that SSF has committed funds for this work and/or does SSF have sufficient funds to cover these costs? Has or will FEMA be holding a public meeting (like the August 27th 6-8 p.m. meeting at San Bruno’s Belle Air school on 3rd Avenue)? If so or when scheduled, please advise. 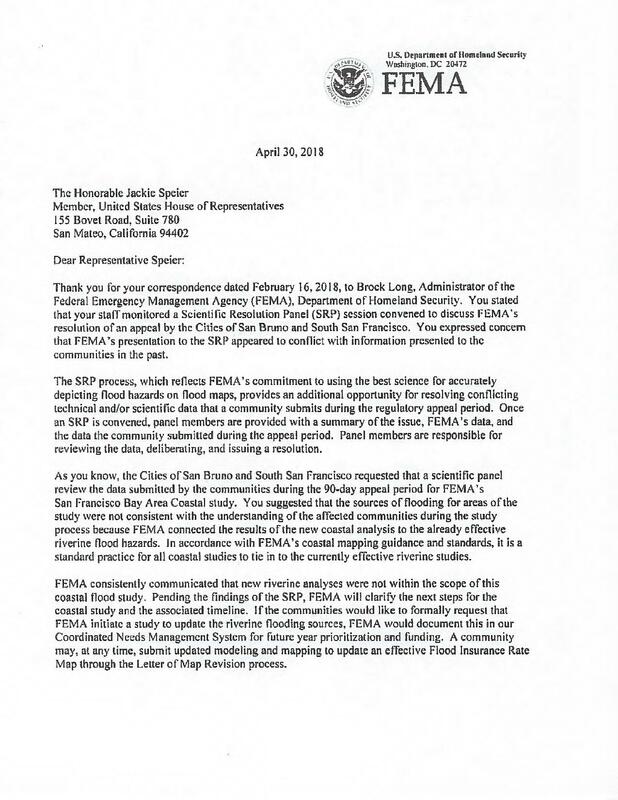 Thank you for your assistance with this FEMA Flood Zone concern. San Bruno has already reached out to affected residents with a letter and map. They also scheduled a FEMA rep to the August meeting. What has SSF done? If this San Bruno resident hadn’t sent ESC a note, we resodemts would know nothing. This is the level of concern given to this important issue. The City misses the mark, again. Ineptness abounds. Thanks ESC for your attention to community concerns. I certainly was not aware of any meetings about flood plains in South San Francisco.